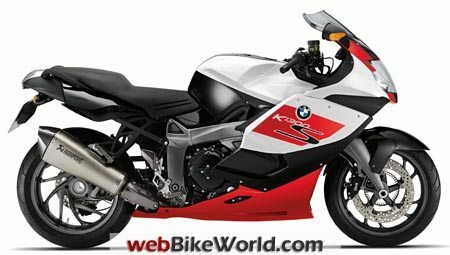 October 25, 2012 – BMW will present a new special edition of the K 1300 S at the 2012 EICMA show in Milan, Italy. The BMW K1300S “30 Jahre K-Modelle” will mark the 30th anniversary of the BMW K-series of motorcycles. BMW launched the K100 in 1983. It was the first ever BMW motorcycle fitted with a liquid-cooled 4-cylinder in-line engine and also featuring a completely distinct and — for its time — pioneering technological concept: the BMW Compact Drive System with longitudinally mounted crankshaft and horizontal cylinder bank (aka “The Flying Brick”). This first generation of the K models also ushered in technological innovations such as the first electronic fuel injection system. This was followed five years later by the introduction of 4-valve technology and the very first ABS system in a serial motorcycle. In 2004, BMW Motorrad established the third generation of the series with the K 1200 S, now with its crankshaft arranged transversely to the direction of travel and featuring the two suspension innovations Duolever and ESA (Electronic Suspension Adjustment). 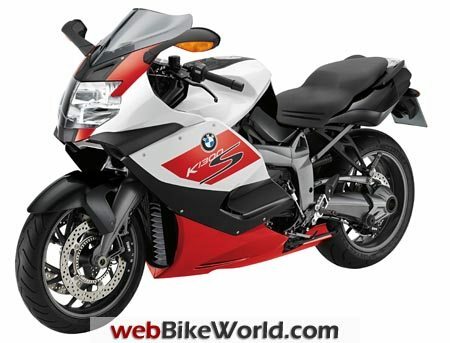 The BMW K-series was also supplemented with the two in-line 6-cylinder models, the K 1600 GT/GTL (report) in 2010. The special model K 1300 S “30 Jahre K-Modelle” celebrates the success story of the K series with an extensive range of options and a special color concept in Alpine white and Sapphire black metallic with Racing red in conjunction with a tinted windshield. Electronic suspension adjustment ESA II and the Safety Package including RDC and Automatic Stability Control ASC ensure that the Special Edition K1300S has a comprehensive set of safety systems in addition to the standard ABS. The HP shift assistant and HP footrests for rider and passenger reflect the sporty aspirations of the K 1300 S. Meanwhile, the Akrapovič sports silencer provides the appropriately athletic 4-cylinder sound, in addition to giving the model a dynamic appearance. The K1300S Special Edition meets more sophisticated demands in the area of comfort with heated grips and an on-board computer. Above and beyond this, the motorcycle can be individually supplemented with special accessories and options from the extensive BMW Motorrad range, with the exception of standard paint finishes. No delivery date or price has been announced.